Egypt’s Prime Minister Sherif Ismail has called for the process of legalising unlicensed churches to be “speeded up” after granting a second batch of church buildings official status this week. The government has legalised 219 churches and church-affiliated buildings this year, but 3,511 others remain on the waiting list. The churches were built without licence as it was “next to impossible” to build or restore a church until the Law for Building and Restoring Churches was passed in September 2016. The demand for official church buildings is a response to growing congregations and the declining condition of existing churches, according to Coptic news site Watani. Latest figures published by the Christian website Operation World show that the number of Christians in the population is growing, especially within the Evangelical Church, which shows an annual growth of 4.6 per cent. But the growth in Christians in Egypt has not been universally popular, with a number of churches that have applied for licenses being attacked by Muslim extremists. 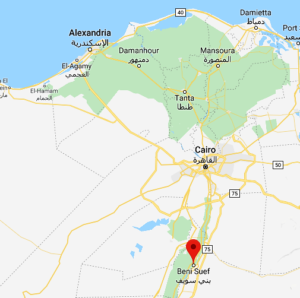 Most recently, the Virgin Mary and Pope Kyrillos VI Church in Beni Meinin, Beni Suef Governorate, was attacked on 14 April, the same day as a visit by the Building Authority Committee who came to inspect the building in preparation for legalising its church status. The church’s 700 Coptic members, who had used the building as a church for 10 years, had also applied for the building to be expanded. 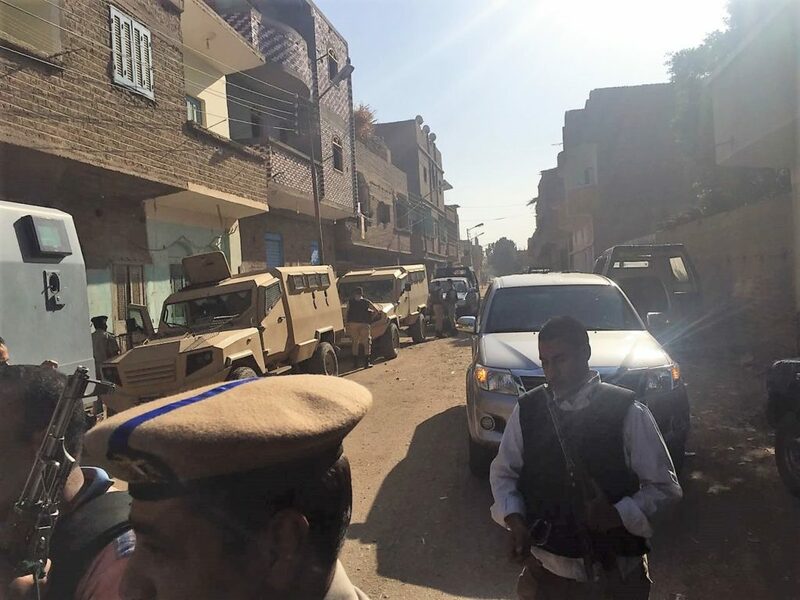 Local sources told World Watch Monitor that Muslim villagers had heard about the morning inspection and then, at about 7pm, attacked the church and some nearby Coptic homes. 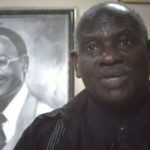 “Many Muslim young men from our village and villages nearby gathered in front of the church building and began pelting it with stones and bricks while shouting ‘Allahu akbar’ [Allah is the greatest], and ‘We don’t want a church in our village’,” said Medhat Halim, a resident in the village. Security forces arrived at the village an hour later and arrested 20 Muslims and 12 Christians. Some were released the next morning but 11 Muslims and nine Christians were later charged with “gathering” (illegal for more than 10 people under 2016’s demonstration laws) and the possession of unlicensed arms, and were jailed for four days, later extended to 15 days. More Coptic homes were attacked two days later (16 April), despite the presence of security forces in the village. “Some Muslim villagers had a meeting in one of the mosques. They incited people against us. After the meeting they set fire to a wood store owned by my brother, and four other houses,” said Christian resident Magdy Nady. Police arrested five Christians as they tried to extinguish the fires. “The police are conniving with Muslim villagers. 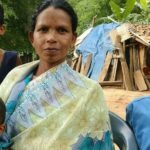 We were attacked, our homes destroyed, some of us arrested – where are our rights? The Muslim villagers are now pressing us to reconcile under the condition that we close the church. We refuse to do that,” Nady said. By the time the Coptic homes were attacked, police had arrested 16 Copts in connection with the unrest. Many other young Copts left the village for fear of being arrested. Nady said the police made the arrests to force the Copts into a Customary Reconciliation Session (formal village meeting) where, in exchange for an end to the rioting, the Copts would give up their plans for a licenced church. 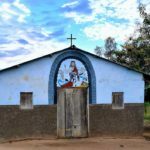 In July 2016 eight Christian homes were attacked following rumours of a ‘house church’ being built in Saft el-Khirsa, which is close to Beni Meinin village. Mahrous Ishak, a local Copt, said at the time that he witnessed a Muslim leader directing the attack. 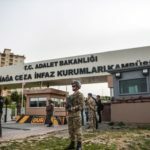 “On Thursday 21 July, we received threats of an attack the next day. We told the police and national security, but they showed no interest, saying ‘If an attack happens, call us then and we’ll come quickly’. “On Friday, during Muslim prayers, the loudspeakers suddenly fell eerily silent. Later, crowds filed out of mosques. One cleric was clearly seen directing groups of people in different ways towards Christian homes,” Ishak said. Last month, a Muslim mob in El Toud village, Qena Governorate, stopped visiting members of the local housing department’s Committee of Legalisation from inspecting an unlicensed church. An employee of the planning department leaked news of the visit after seeing an application for a new church made by local Copts. Muslim villagers gathered outside of the Coptic home being used at the time as the de-facto church, shouting ‘Allahu akbar’ and throwing stones at it. The inspectors never gained access to the building because of the crowd. 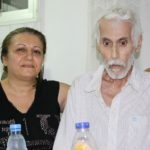 Sami Farid, a Christian living in El Toud, told World Watch Monitor at the time that the police were called but did not arrest anyone under the laws governing the size of protests. “It is clear that [the law] does not apply to extremists who attack Christians,” he said. At a village meeting the following day some Muslims threatened to burn down Coptic houses if they did not accept their demands, which included accepting that only mosques be built in El Toud. The Copts accepted the terms. Meanwhile the government has spared a 115-year-old church that was due to be demolished to make way for archaeological excavations. The Church of the Holy Virgin in Luxor stands on an ancient walkway linking the Luxor Temple with the Temple of Mut at Karnak. Known as the Avenue of Rams because it is lined with 1,350 ram- and human-headed sphynxes, the walkway is thought to date back to the time of ancient Thebes between 1570 – 1069 BC. State and Coptic Church officials agreed at a meeting on 16 April that the church will remain untouched, although associated administrative buildings would be demolished, according to Watani.